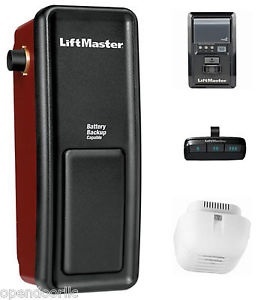 Take convenience and safety to a whole new level with the LiftMaster® 8355. 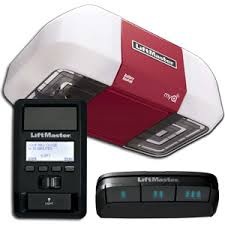 The opener is equipped with built-in MyQ™ technology, enabling you to close your garage door or turn lights on or off using a smartphone or computer – from anywhere in the world. And because it features soft start and slow stop to reduce noise when it operates, it is perfect for homes with a room above the garage. This is the quietest opener on the market!! This unit comes with 2 remote controls and 1 outside keypad.